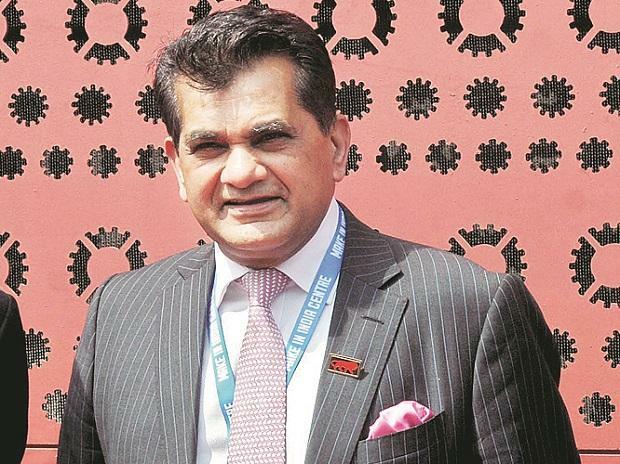 E-commerce has revolutionised the retail sector in India and will play a major role in the country's growth story going forward, Niti Aayog CEO Amitabh Kant said Tuesday. He further noted that driven by the growth in India's retail market, the country's GDP will also witness an increase and result in more job opportunities. "E-commerce market has brought a revolution in India's retail sector and nobody can stop it now," he said at an event here. According to Kant, India is currently growing at over 7 per cent and if the country has to grow at 9 per cent, then e-commerce market will have to play a major role. Kant also said that retail trade of India is bound to expand in coming years and its imperative upon traders to adopt technology and digitisation. According to a report by Deloitte India and Retail Association of India, India's e-commerce market will touch $84 billion in 2021 from $24 billion in 2017 on account of a healthy growth in the organised retail sector. Kant noted that traditional retail market and modern retail market (e-commerce) will co-exist in India even as the consumer behaviour is changing. Speaking at the same event, trader body CAIT's secretary general Praveen Khandelwal said the current e-commerce is greatly vitiated by online companies by indulging into predatory pricing, deep discounting and lose funding. "The government should constitute the regulatory authority for e-commerce and cash on delivery service for e-commerce should be banned," Khandelwal said. He also demanded immediate changes in the policy such as inclusion of all players of digital payments not only BHIM & UPI and domestic players should be brought under the ambit of e-commerce policy. On February 23, the government released the draft national e-commerce policy proposing setting up a legal and technological framework for restrictions on cross-border data flow and also laid out conditions for businesses regarding collection or processing of sensitive data locally and storing it abroad. The 42-page draft addresses six broad issues of the e-commerce ecosystem -- data, infrastructure development, e-commerce marketplaces, regulatory issues, stimulating domestic digital economy and export promotion through e-commerce.